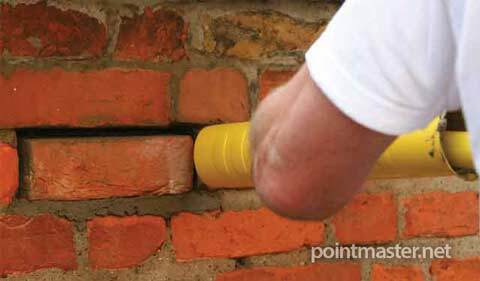 The PointMaster tool is an ideal tool for pointing brick slips and brick cladding tiles. 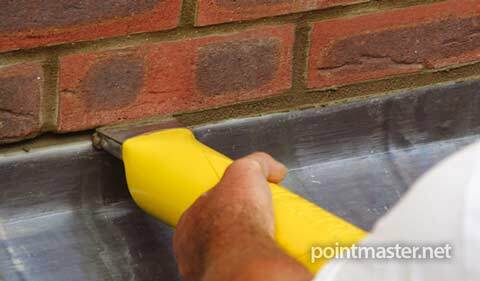 The regular joint sizes found on these products allow the PointMaster to be used in a continuous sliding motion, filling the mortar joints on the first pass at a truely unbelievable speed. 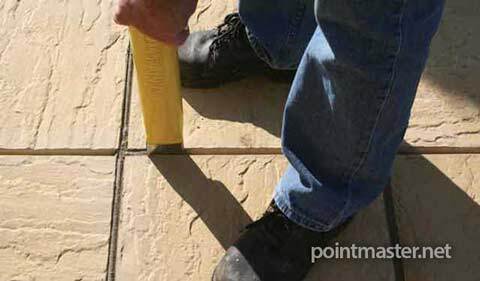 In tests carried out 10 square metres of completed pointing can easily be completed in an hour (including time to stike and finish the joints). Time taken to complete the job is reduced - profitability is increased. Filling the tool is fast and there is much less waste material to clear-up afterwards, when compared to traditional methods. 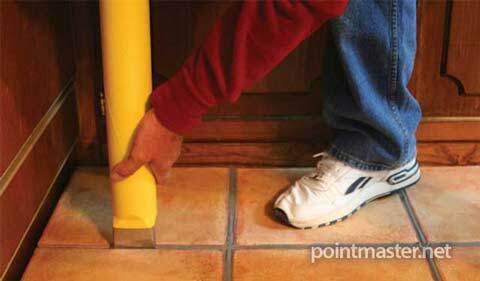 In this 2 minute clip the PointMaster is being used to infill a half-metre-square brick tile panel, which was built to demonstrate the tool at trade shows. You can clearly see how fast and accurate it is to use. The mortar is a hand mixed, 3:1 regular soft building sand and cement mortar mix, with the correct measure of plasticiser added (following the manufacturer's measures). 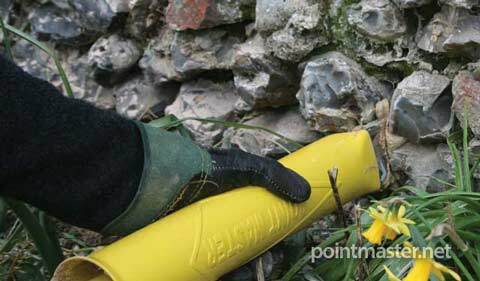 Nothing else - This is a regular mortar mix. Also note on the video how quick the tool is to re-load once empty. It takes just seconds! Always remember to shake out the residual plug left inside the chamber and stir the mix to revive before loading. 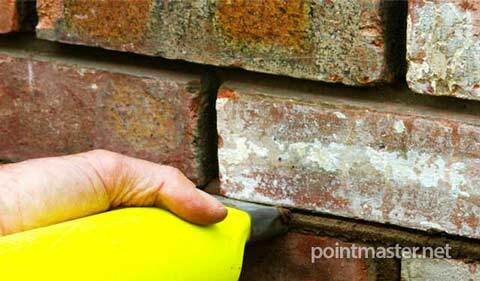 PointMaster is the only tool for applying mortar when pointing brick slips and facia brick cladding tiles.